Daniel Martin for the Daily Mail -Chief Political Correspondent-JUNE 2-2015. 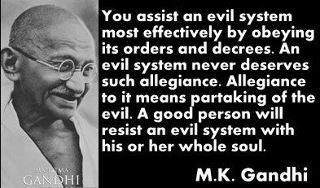 ARE DEADLY - CAUSE POISONOUS EARTH AND FAMINE! 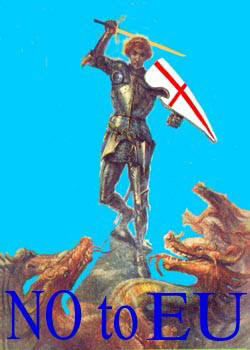 Home Rule for Scotland WHY NOTHOME RULE for ENGLAND? ****A DISUNITED KINGDOM****NEW LABOUR HAS DESTROYED THE UNION- SO USE THE WORDS ENGLAND AND ENGLISH-NOT BRITISH****BOTH SIDES OF THE BORDER BACK SCOTS INDEPENDENCE****NEW LABOUR'S LEGACY-THE GHETTOSIZATION OF ENGLAND****UNLESS WE TAKE CONTROL OF OUR LIVES WE WILL LOSE OUR FREEDOM AND IDENTITY****OUR PAST IS EMBEDDED IN OUR NATIONAL CONSCIOUSNESS -IT ASKS WHERE WE CAME FROM AND WHO WE ARE . ****.THE ENGLISH WITH OTHER GERMANIC TRIBES CAME TO BRITAIN OVER YEARS AGO - THE STREAM OF TEUTONIIC INFLUENCE HAS DECIDED THE FUTURE OF EUROPE****THE SOUL OF ENGLAND PT 1/ **** THE SOUL OF ENGLAND PT 2/ **** WHY ARE WE ENGLISH MADE TO FEEL GUILTY/**** DON'T LET THEM DESTROY OUR IDENTITY/ **** NOR SHALL MY SWORD/**** WHY CAN'T WE HAVE A RIGHT TO BE ENGLISH-PT1-/ **** WHY CAN'T WE HAVE A RIGHT TO BE ENGLISH-PT2/**** ENGLAND IS WHERE THE MAJORITY VIEWS ARE IGNORED AND MINORITIES RULE AT THEIR EXPENSE IN POLITICALLY -CORRECT BROWNDOM/**** ALFRED - CHRISTIAN KING OF THE ENGLISH-PT1- /**** ALFRED - CHRISTIAN KING OF THE ENGLISH-PT2/**** ENGLISHMEN AS OTHERS SEE US BEYOND OUR ONCE OAK WALL./**** ENGLAND ARISE! - TODAY WE CLAIM OUR RIGHT OF SELF-DETERMINATION/ **** KISS GOOD BYE TO YOUR SOVEREIGNTY AND COUNTRY / **** ST GEORGE'S DAY-ENGLAND'S DAY/****ST GEORGE'S DAY - 23APRIL - RAISE A FLAG ON SHAKESPEARE'S' BIRTHDAY****EU WIPES ENGLAND OFF THE MAP**** AN OBITUARY TO YOUR COUNTRY WHICH NEED NOT HAVE HAPPENED****THE ENGLISH DID NOT MOVE THEMSELVES SO ARE NOW SLAVES IN A CONCENTRATION CAMP EUROPE****"...What kind of people do they think we are?" by WINSTON CHURCHILL****THE SPIRIT OF ENGLAND BY WINSTON CHURCHILL. It is all too easy to play the dinner party game about Acts of Parliament one would repeal were one to become Lord protector: a more sophisticated version concern which law should most have made the Statute Book, but never did. For my part, I am in no doubt: it is the 1886 Irish Home Rule Bill, whose prescience seals for me, Gladstone's position as one of the great peacetime leaders of our country in its history, taking his rightful place - now there's another dinner party game - between Oliver Cromwell and Mrs Thatcher. Older readers will recall that the Conservative Party, in one of those sporadic moments of profound obtuseness that visits it from time to time, felt it would be a better idea to coerce the Irish. They were assisted in this by Liberal Unionists, with the result that we have had murder, bloodshed, gangsterism, impoverishment and the likes of Gerry Adams and Martin McGuiness ever since. -no armoured cars will roll down Princes Street, desperadoes will not occupy Edinburgh's main post office, and no modern -day Black and tans will be picking off rebels in the hills of Fifeshire and the streets of Clackmannan. However distasteful they might find the plebiscite, his coalition partners (mostly likely the Janus faced Liberal Democrats) would obstruct such a plan at their peril. -or they may not, especially if economic reality has kicked in by then. It is rather like those horrible divorces one hears of in which one party unilaterally decides he or she is off, and goes to the bewilderment, impotence and unheard protests of the other. is: all of which is long overdue. -or with any unexpected wonder from Gordon Brown: it is purely about demographics. In some of these seats they barely have organisations, let alone a chance of winning. It would be a help to pick up the 10 or 11 they used to win in Scotland too, but there isn't a prayer of that. -by using votes from MPs whose parts of the Kingdom were not touched by them. For the Tories to pledge to end this anti-democratic and unfair system ought to make them hugely popular than they are: they should not, in the first instance be afraid to say so. Just as Welsh and Scottish ones now are. -suggests something white and therefore racist. The Conservatives have avoided playing the English card for these reasons, redolent as they seem to be of the "nasty" party. English nationalism has nothing to do with race. -and a badge of ethnicity. So there is, or should be, nothing of the Ku Klux Klan about the Tories playing the English card: quite the reverse. 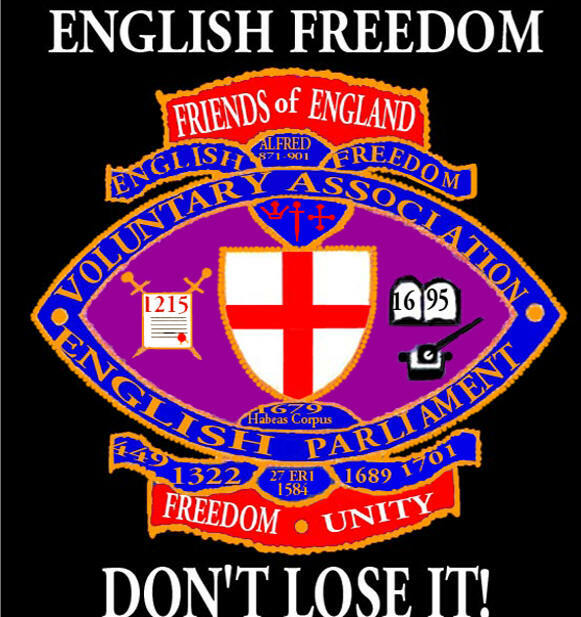 More to the point, the old nationalisms of the 20th century that gave the idea such a bad name were rooted in dictatorships: the Tories' definition of English nationalism would be supremely democratic. I suspect that is because there isn't a satisfactory explanation. Why leave the Scots with the power to call the shots? Why shouldn't their paymasters the English taxpayers have their say too? -to sunder the link with Scotland, then that is that. If they vote to retain it, then it would send a strong signal to the Scots that perhaps after all, the family can stay together under one roof, though with a new understanding. The Tories must see that the tide has turned, if not for good, then certainly for many years to come, against them in Scotland. 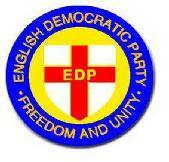 English Democratic Party was formed in 1994. "All the English ask for is equity. We do not wish to keep anyone in our constitutional family against his will: but we also have a right to take some initiative in this matter, rather than always cowering at the whim of the small minority of British subjects who live in Scotland. Our Scottish friends can do the cause of English democracy one huge favour tomorrow, and that is by going out and voting SNP with all their heart. If the public vote no, they should declare, for their Town or county, UDI from Europe and the illegal actions of our government since 1971, particularly the abolition of our British Constitution, common law, our nation and counties. The press coverage this would generate would force the truth into the open nationally, leading to a national in/out ballot on the EU. Just one council could achieve this fabulous result alone. Conservative policy is to reform the EU from the inside (renegotiation). We've been in it 34 years and failed to reform this dictatorship one jot. Their policy is to continue this complete failure, and they know this pretence is wholly dishonest. You either submit to 100% of the EU or don't join it at all; that is the only choice open to us. Its worth noting that Adolf Hitler first had to get elected, if on a 35% minority vote, and then get his Enabling Act passed. An EU dictator has no such problems. Our EU rulers do not submit themselves for election now. 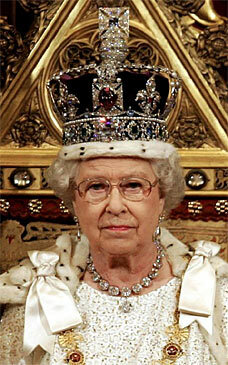 And the Queen has already signed the Enabling Act (Civil Contingencies Act 2004).